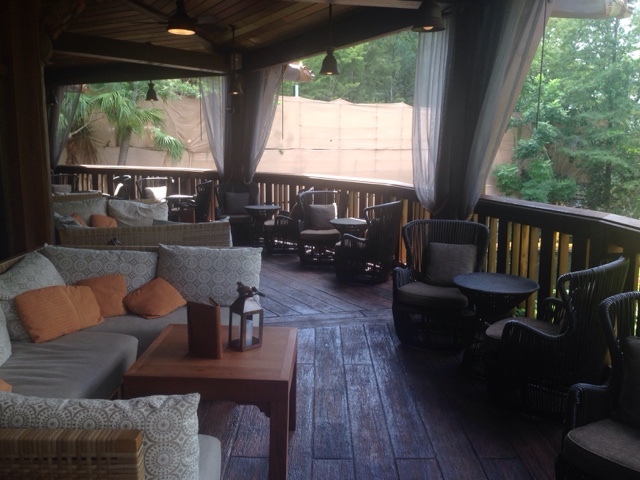 There are many new additions to the Animal Kingdom in recent months and one that I was looking most forward to was the Nomad Lounge. 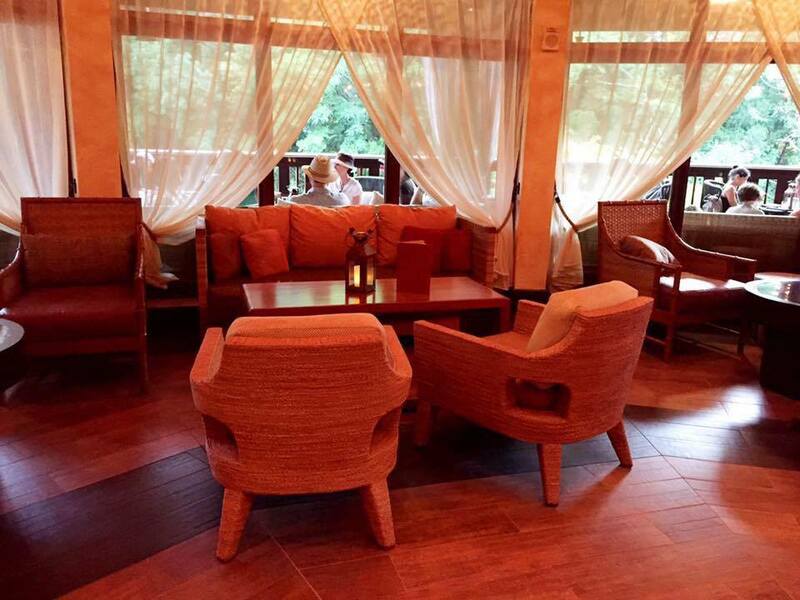 To say the decor is beautiful is an understatement, You are the hub of the Animal Kingdom and adventure. This bar is a jumping off point. The banners handing from the ceiling add a lot of interesting flavor. They pose travel questions (after all we are nomads here) and the answers of Disney Imagineers. Not only on these banners but also just above the windows like in the picture below. 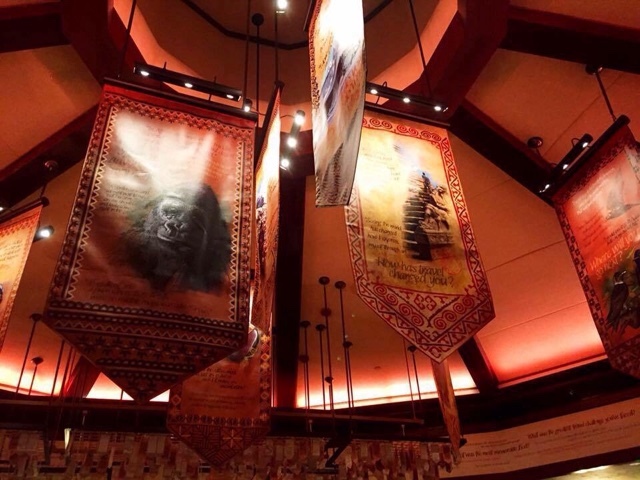 You can also purchase mini banners that hang over the bar, the proceeds go to the Disney Conservation Fund. You get to write your own journal entry on the banner. The curtains really look like mosquito nets. Again, perfect for the theme. 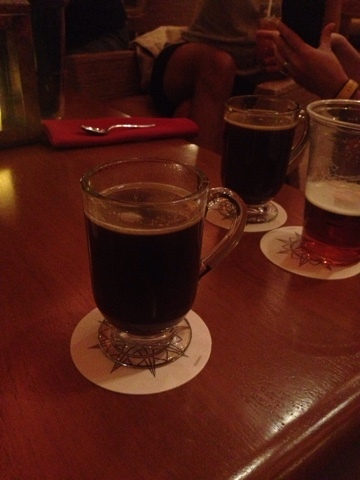 Pictured above is the Mustang coffee, a great alcoholic beverage from the Nepal area. Essentially, it consists of coffee, brown sugar, melted butter and liqueur. There is a large drink menu that is not only unique but offers some great artwork, as well. And for the younger nomads as those not wishing to imbibe alcohol, many of the drinks have a virgin alternative. 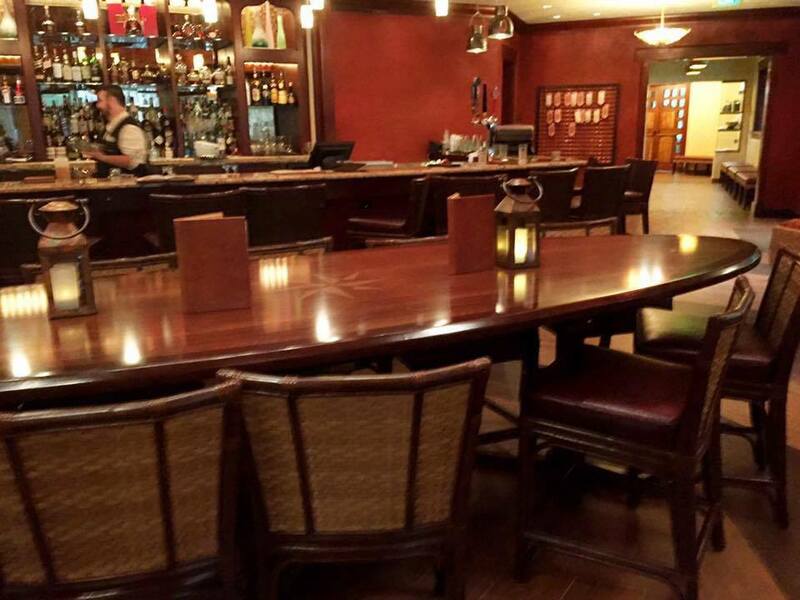 There are small plates, as well, for hungry travelers. In fact, the small plates menu recently changed, including a decrease in the price of the wings while adding to the amount of food. Other items include beef sliders, pork ribs, fish tacos and bread service. 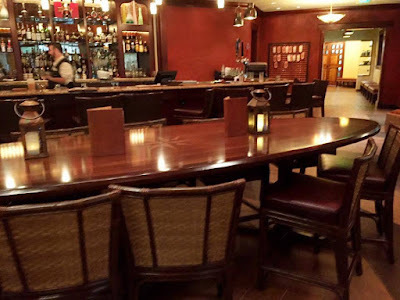 The bar is large, but as you can see, often empty. 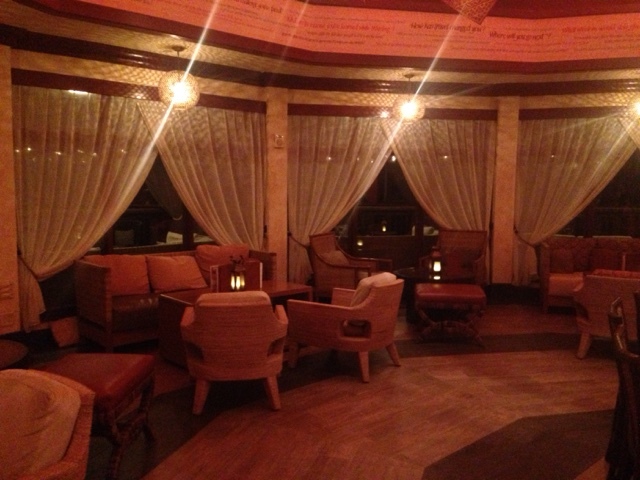 This lounge, which is now a favorite of mine throughout the entire resort, suffers badly from location. At least, currently it does. The above two pictures are from the gorgeous wrap around porch. In the picture directly above, you can see the work being done to the bridge that will eventually lead to Pandora. Right how, this lounge sits at the end of essentially a dead end meaning there is virtually no pedestrian traffic. 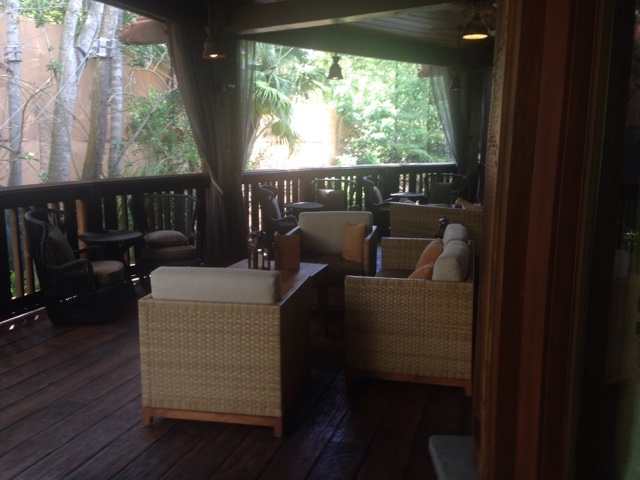 Hopefully, once Avatar opens, many guests will see this lounge. This last picture gives you a good look at the lighting difference during the day compared to night. The dark wood gives the lounge an elegant look for certain. Its certainly relaxed at this point thanks to nonexistent crowds. So enjoy the peace while you can.